Acetal polymer. 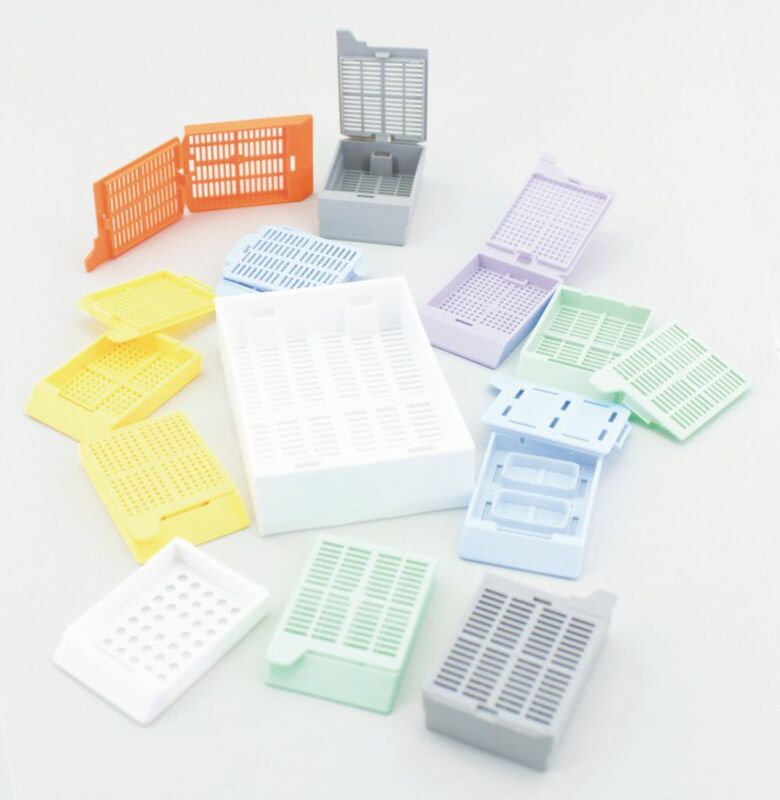 Suitable for holding and identifying tissue samples in processing, embedding and sectioning procedures. Resistant to all commonly used histological solvents. Cassettes with welded disposable lid, supplied in racks for Leica and Sakura cassette printers. 2000 cassettes packed 40/rack.